Each of the 10 chapters carries a theme. 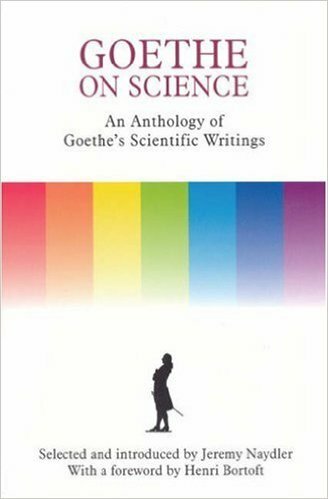 For example, Chapter 2 is titled “Observation of Nature is Limitless.” The dozen or more selected readings for each chapter are excerpts from a wide range of Goethe's writings, including his poetry, his books, and his letters to colleagues and dear friends. Each of the readings themselves are short enough to be easily assimilated and yet deep enough to be contemplated for their profound wisdom and truth. Naydler introduces the chapter themes with insightful comments and context. Hearing this echo, so to speak, as well as Goethe's original voice, makes for a deeper, more meaningful understanding of each of the passages. What I particularly enjoyed about this book is that each chapter is self-contained. When I first picked it up off my shelf, I started reading the chapters at the back and eagerly moved toward the front. After reading and even re-reading this anthology, I now understand how Rudolf Steiner like so many others, shared and continue to share a deep appreciation for Goethe and his critical thinking.